I love oatmeal. I’ve even learned to love it without the brown sugar. 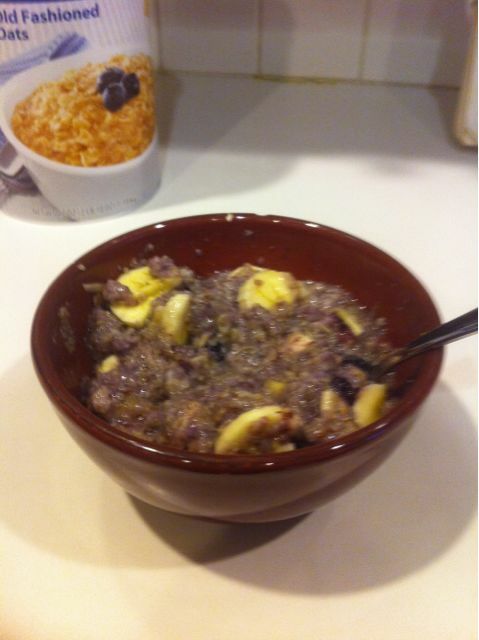 That was a rough process, but banana slices or some blueberries have replaced the sweetener in my bowl. Over time I’ve also added flaxseed meal to the mix for even more flavor (and fiber!). 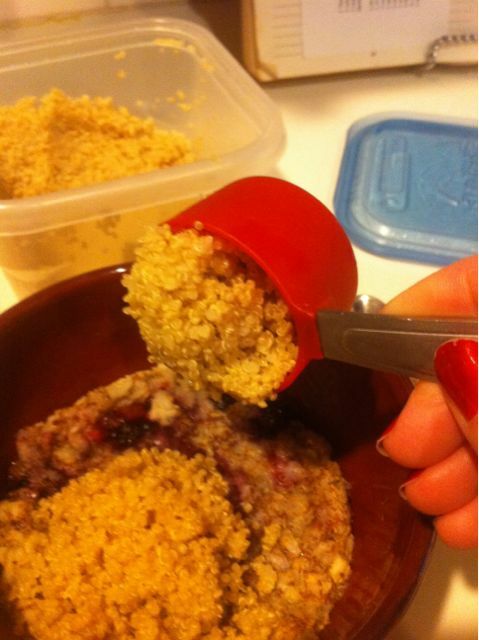 My latest addition is quinoa–another grain that adds another 4 grams of protein to my morning bowl. 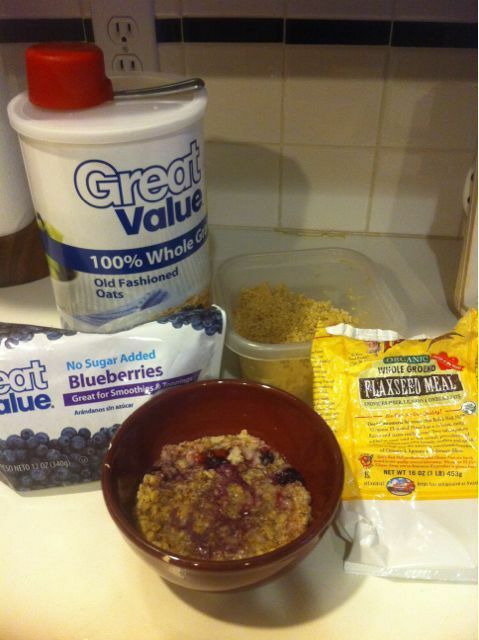 Put the oats, flax, water and frozen blueberries in a microwave safe bowl and cook on high for 2 minutes. It will look like this. Appetizing, huh? Stir in previously cooked quinoa. Add milk and a sliced banana if you want. Total Calories for this amazing bowl of goodness? 356! Which is a good breakfast number, btw. Sugar free can taste delicious!